Active Life™ Capsules have been formulated with only your wellbeing in mind. Just as the name suggests, Active Life™ Capsules can help to support a busy modern life where stress, high demands, and a poor diet are often a reality. 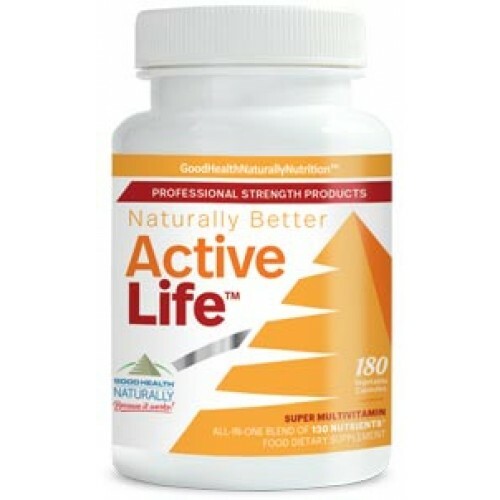 Active Life™ Capsules are a complete all-in-one nutritional supplement to complement any Active Life™style, offering an all-natural source of 90 vitamins, minerals, and other nutrients. These convenient caps make it easy to get the essentials that your body needs each day — like the critical minerals selenium and chromium — taken at home or even on-the-go. With each serving of Active Life™ Capsules, you will receive approximately 75 plant-derived minerals, 12 vitamins, and 3 other nutrients to help replenish storages in your body that are naturally depleted each day. Active Life™ Capsules are the newest product in our Active Life™ range, designed to meet the growing demand for even more convenient and effective nutrition. With Active Life™ Capsules, what you see is what you get — a powerful yet economical nutrient formulation that is easy to take as a daily supplement. Active Life™ Capsules are also highly recommended for prenatal nutrition. While there is no substitute for a Really Healthy Diet, it is important to supplement the vital nutrients that may be missing in our modern food supply. Active Life™ Capsules provide a simple solution to bridge this gap. With Active Life™, you’ll find all of the essential vitamins and minerals in an easily absorbed capsule form. There’s a reason that Active Life™ Capsules are “Naturally Better.” Each ingredient in the Active Life™ formulation was hand-selected with care, to ensure high-quality and good health. Adults and children over age 12: Up to 3 capsules twice per day after a meal.